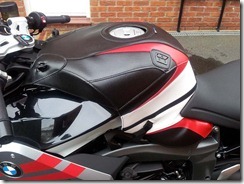 I have recently ordered a Bagster Tank Cover for my K1300S. It took a few weeks for it to be delivered as it was made to order. I decided to get a tank cover rather than some invisible film to protect the tank as I also needed something to hold a tank bag on. 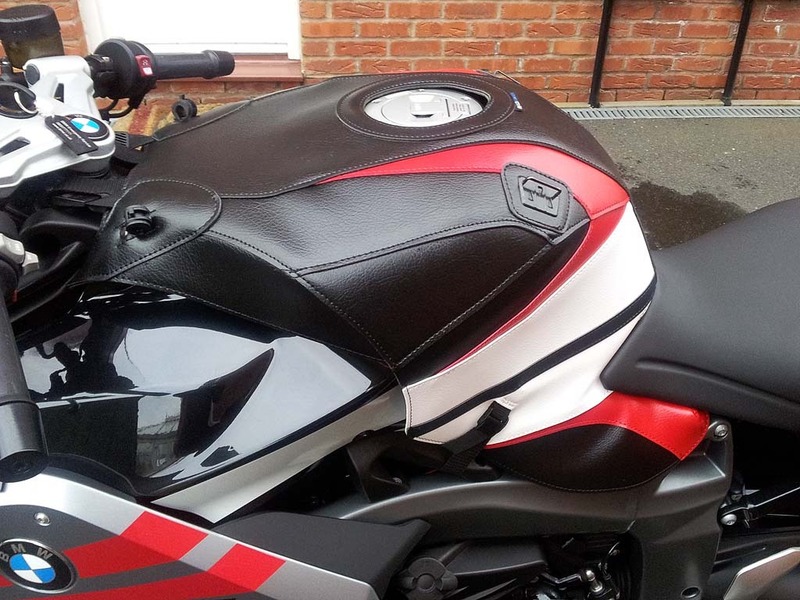 Due to me already having a Bagster Minea Tankbag which I use on the ZX-9R, it was a no brainer to get another tank cover for the BMW. Once the tank cover had arrived I went down to the garage to fit it and was concerned that it was too small. After looking on their website it seemed that they are made to stretch and mould to the bike. So I started to fit it and got the hairdryer out to heat it up. Once I had applied some heat it was fairly easy to make it fit with the aid of the straps pulling it into place. Now it is fitted I am really pleased with it and my existing tankbag fits perfectly and will not upset my riding position when fitted to the bike.